It's Thursday and almost July 4th! I love when the holiday (or any holiday, for that matter) falls on a Friday so there's an extra long weekend. 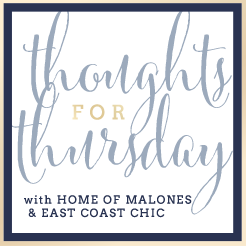 Today I am linking up with Natalie and Annie for Thoughts on Thursday! I have been on a huge Italian food kick lately. 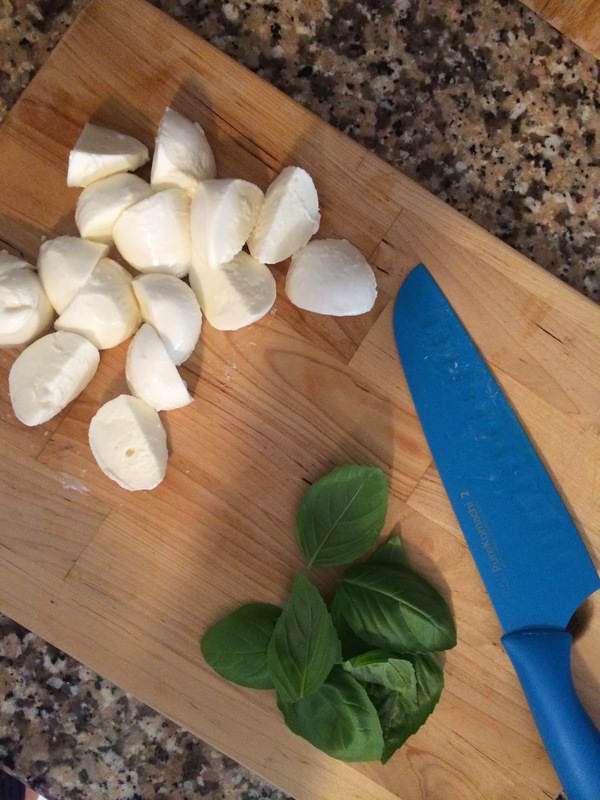 I can't seem to get enough fresh basil and mozzarella. Pinterest is kind of failing me for new, exciting recipes, so please send some my way!! We have been getting out pool time in - thank goodness for the giant bin of community toys! How old does Greyson look here?! I found these at Target the other night. I mean, how could I turn them down? I definitely prefer the Sriracha ones, but the Dill Pickle flavor is not too shabby. To go along with the potato chips, I found this bikini I have been hunting down. Target DOES do it again! If you see this, get it! It runs a little small, so size up. The pattern makes me think of the Beverly Hills Hotel and happy LA memories! I have talked about my love of this Pink Stitch maxi before. I got a hot pink one last year, and just got this one from Shopbop. I have worn it twice this week (oops!) It is so easy to throw on and go and it is unbelievably comfy. All of my preggo friends, this is a must purchase - great for during and after!! Natalie has one too! My dear friend started a line of sandals (and a chic boutique for all of your San Diegans) called Azzurra Capri. They are all handmade and absolutely stunning. You can get my pair here. And that is THAT! Happy almost 4th of July! Love the Eiffel Tower print! And I definitely need to hit up Target for those chips... I love anything with sriracha. And that maxi dress is gorgeous! Love! Grayson looks like such a big boy in that pic! 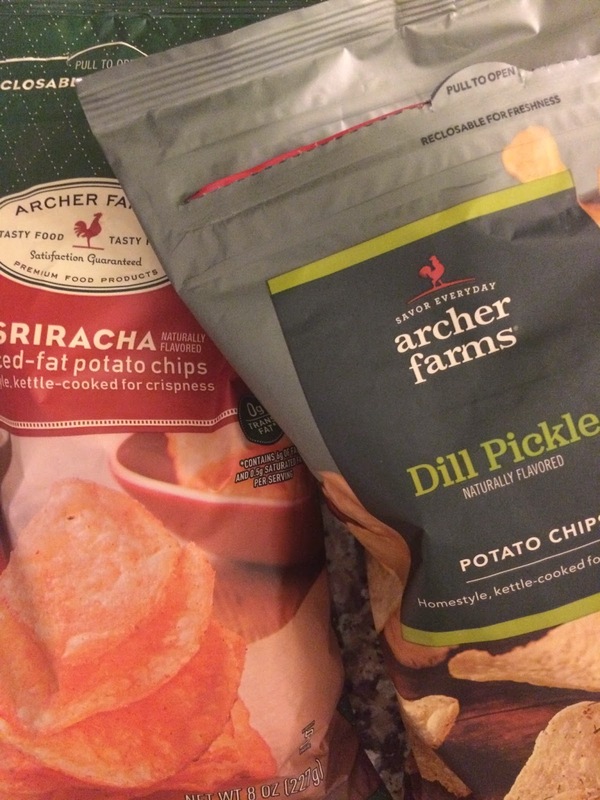 I need to find those chips, I love the jalapeno ones, so I'll need to add the sirracha to my list too. Love your bathing suit, dress and those sandals are to die for! Oh man I want to try those Siracha chips! And I love that bikini I've been seeing it everywhere. I made this great caprese dip - I'll try to find the recipe!! those sriracha chips looks so good! Love the dress you wore!! Have a great holiday weekend! Ahhh I love that maxi and those shoes! Aw how cute are your kids!? I've seen a few caprese quinoa recipes floating around recently that look good. You can never go wrong with Bruschetta either, though! Great dress and bikini finds. Happy 4th! I loved that dress on you when I saw it on your IG. That swimsuit is too cute from Target...I've seen it a couple of times now and you are so right that it reminds me of the Beverly Hills Hotel. 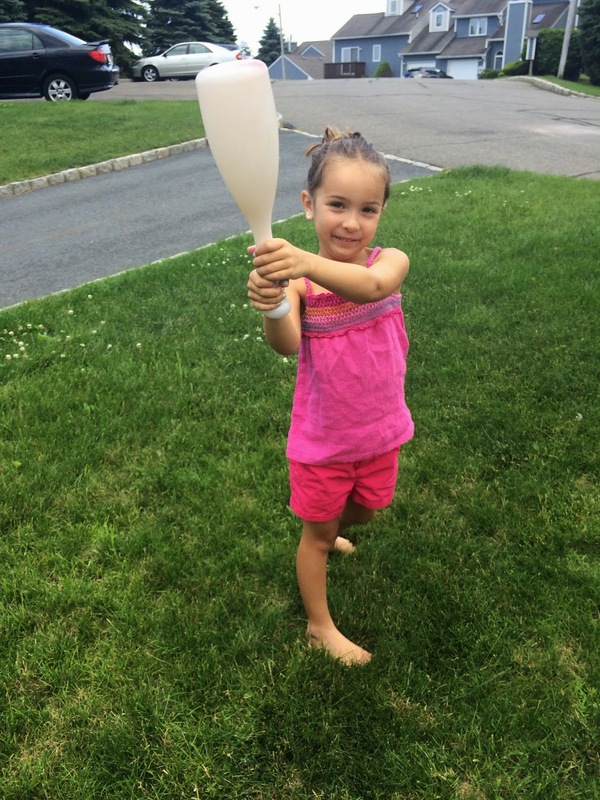 Have a fab 4th and thanks for linking up! Love the suit, maxi and the shoes! We've been making caprese sandwiches once a week - I keep killing my basil plant from picking it to death! Love that bikini and that maxi is becoming a new fave of mine!! Also why does Greyson look like he's 6 in that picture?!? Sriracha potato chips?! I'm stopping at Target ASAP to find those! And I might as well get the swimsuit while I'm there! We made a margherita pizza last weekend with fresh tomatoes, basil and mozzarella - it was soooo good! We're probably going to do it again this weekend!